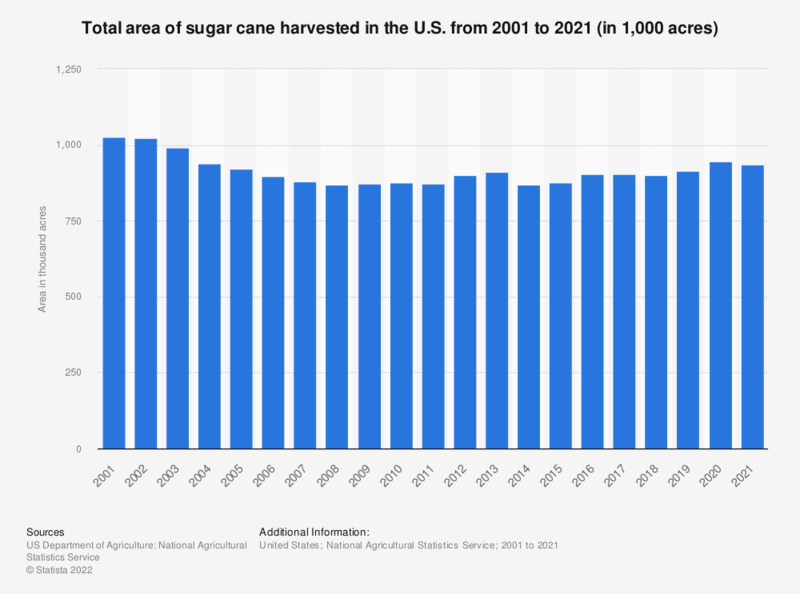 This statistic shows the total area of sugar cane harvested for sugar and seed in the United States from 2000 to 2018. According to the report, approximately 0.9 million acres of sugar cane was harvested for sugar and seed in the U.S. in 2018. * Sugarcane harvested for sugar and seed. In Hawaii, harvest continues throughout the year and production statistics are on a calendar year basis. In other states, harvest is seasonal and the production statistics year relates to the year in which the season begins. Everything On "Sugar" in One Document: Edited and Divided into Handy Chapters. Including Detailed References.